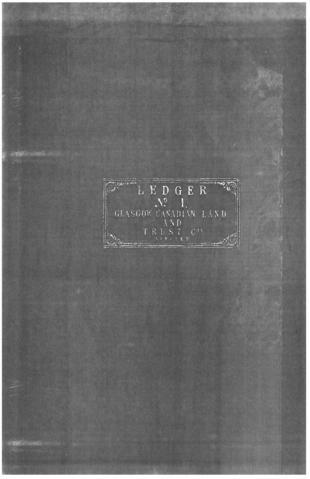 The file consists of one copy of a ledger dated from 1873 to 1875 and headed Ledger No.1 Glasgow Canadian Land and Trust Company Limited. The file provides information on the accounts of the Glasgow Canadian Land Company, represented in 1873 by John Scott of Lennoxville. The accounts concern lands, properties, farms, stores, and roads located in Brompton, Clinton, Ditton, Hampden, Hilton, Lennoxville, Lingwick, Marston, Newport and Scotstown. Title is based on contents of file.